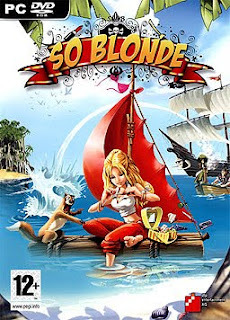 So Blonde was the first adventure game project by French developer Wizarbox. It was written by Steve Ince, of Revolution Software fame. It follows a spoiled rich 17-year old named Sunny Blonde who ends up stranded alone on an island after her parent's luxurious cruise ship crashes during their wedding anniversary. Things take an unexpected turn when she finds that she has somehow been transported into the past. It was released for PC in 2008. A re-imagining of the game with an alternate storyline and gameplay named So Blonde: Back to the Island was released for the Wii and DS in 2010.